Following the success of their first single “Anywhere”, Tear Council treat us to the official video for their new single “My Car“, out now on Personal Best Records. Headed by Matt Van Schie (Van She / Du Tonc), Tear Council’s smooth and nostalgia-tinged track is the second single from a double A side release, and is a continuation of what Van Schie describes as a project for his “more emotional outpourings”. With “My Car”, Tear Council are bringing their finest 80s A-game, taking after the immensely hyped debut single “Anywhere”. This hypnotic and melodic throwback track has collaborator Michael Di Francesco (aka Touch Sensitive) working his magic on the synths while Van Schie perfectly complements him with his delicate and ethereal vocals. A superb companion to the single, the video is an homage to vintage cars and is a compilation of clips from iconic films such as Vanishing Point, Repo Man and the Driver. The combination of grainy texture, gloriously classic cars and dramatic shots evokes feelings of sentimentality, especially when paired with the tender and emotive melodies of the song. With their music credentials and fashion game already strong, Tear Council are ready to take the world by storm. Sydney’s Tear Council (aka the duo of Du Tonc & Van She’s Matt Van Schie and Michael Di Francesco aka Touch Sensitive, have shared their second single of the year, “My Car”, out on May 29th via Personal Best Records. Pre-order here. The slick production partnership between trailblazing producer Mighty Mouse and Matt Van Schie, Du Tonc, set the blogosphere alight once again with their first single for Eskimo Recordings ‘Every Song’, taking them to the top of the Hype Machine chart. Now their follow-up, ‘Animals’, is equally as upbeat and indelible. Despite having only a handful of releases, Du Tonc have clocked up over a million plays and each bowled into the Hype Machine top 10. They exploded onto the scene in 2013, and are currently putting the finishing touches to their debut album for 2015. 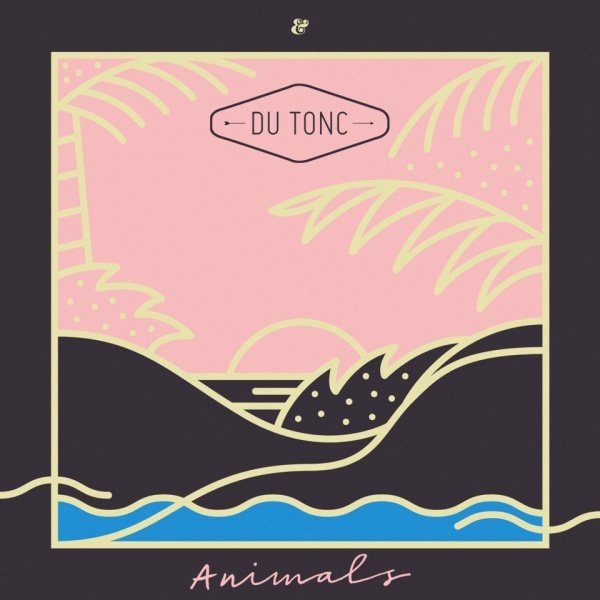 Du Tonc are Matt Van Schie and Mighty Mouse, a heady disco tinged partnership that came about during a chance encounter in the basement of the smoky Parisian ‘Social Club’ where both were playing back in 2010 and as they say, the rest is history. A regular in the Hype Machine top 10 scoring countless number ones, Mighty Mouse quickly became an online star putting his unique touch to tracks by Gorillaz, Madonna, Gill Scott Heron, Prince, Kate Bush and his now infamous re work of ABBA. Press and peers alike lauded Mighty Mouse’s Disco Circus compilation series, with Mixmag putting the first two volumes in their top 10 compilations of the year. Matt Van Schie is a founding member and current guitarist and bass player for Sydney band Van She. The last decade have seen Van She go from strength to strength, supporting the likes of Phoenix and Daft Punk, thrusting themselves upon a myriad of festivals, headlining their own tours and racking up an abundance of fans along the way. Headed by none other than Matt Van Schie (Van She / Du Tonc), Tear Council is not just an advisory body on tear control, but a full body performance authority. 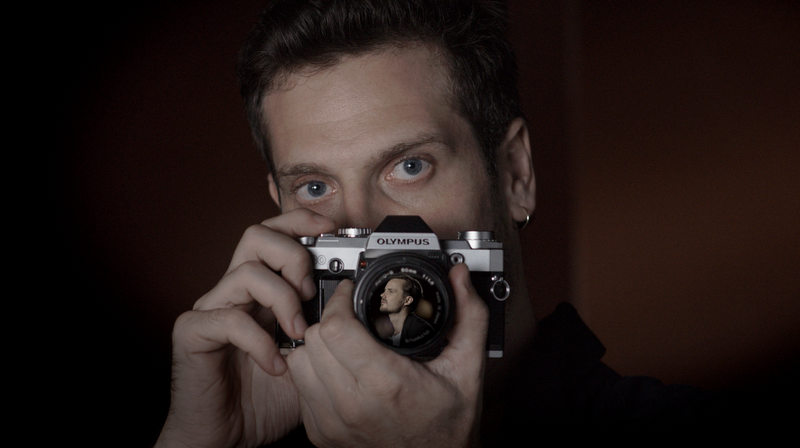 After recently joining forces with former band bud Michael Di Francesco (Touch Sensitive) on their debut single “Anywhere” – the pair now share the highly appropriate, 80s-stylised video for the track, starring Matt and Michael themselves, alongside Holiday Sidewinder (Bridezilla), the female vocalist on the record. Reminiscent of detective soap operas past, the “Anywhere” video shows private investigators Di Francesco and Sidewinder stalking their oblivious target, Van Schie – who’s on serious dance duties in this clip. The video for debut single release “Anywhere” is more than a solid preview of what is yet to come from Sydney’s Tear Council – a project described by Van Schie as an outlet for his “more emotional outpourings”. 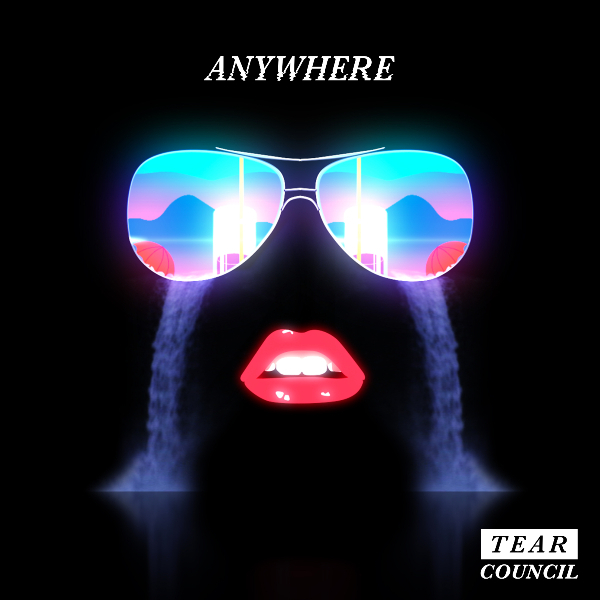 Taking you back to the rhythm of the 80s and “Drive”-esque memories from summer days past, Tear Council’s “Anywhere” will make you relive those throwback-thrills – an experience that is guaranteed to get you on your feet. Headed by none other than Matt Van Schie (Van She / Du Tonc), Tear Council is not just an advisory body on tear control, but a full body performance authority. After having previously collaborated in 2009 with fellow fashion aficionado and former band bud Michael Di Francesco (Touch Sensitive) to write “Journey” – from Van Schie’s “Balmy Nights” EP – the pair now join forces yet again to bring you “Anywhere”. The first single from a double A side release, “Anywhere” is more than a solid preview of what is yet to come from Sydney’s Tear Council – a project described by Van Schie as an outlet for his “more emotional outpourings”. Taking you back to the rhythm of the 80s and “Drive”-esque memories from summer days past, “Anywhere” will make you relive those throwback-thrills – an experience that is guaranteed to get you on your feet. With a video for “Anywhere” scheduled for March, and their music credentials and fashion game already strong, Tear Council are ready to take 2015 by storm. Hype Machine’s One To Watch for 2014 Du Tonc continue their rise to success with their fifth single, ‘Every Song’ on Eskimo Recordings. 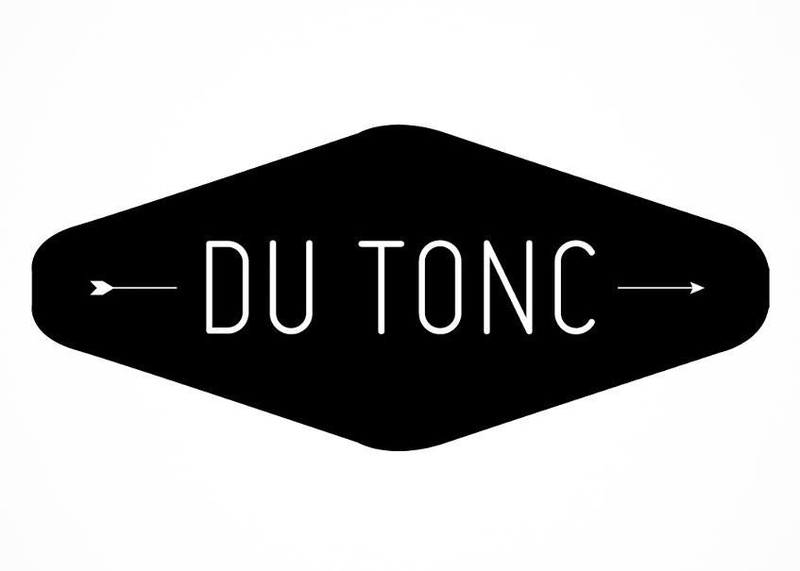 Du Tonc is the hotly tipped act consisting of Matt Van Schie of Van She fame and London producer Mighty Mouse. They exploded onto the scene with their debut single ‘Darkness’ in 2013 and after recording a cover of Bruce Springsteen’s ‘I’m On Fire’ they spent the rest of 2014 writing, recording and putting together the live show. With early support from The Magician, Mark Ronson and Tensnake, their few releases have clocked up over a million plays and each bowled into the Hype Machine top 10. ‘Every Song’ promises another future classic using their consistent formula of potent vocals, delicate licks of synths and effortless guitar melodies, all abundant with the flair of the 80s. “This was a labour of love, we kept coming back to it, leaving it, coming back to it for a year. But despite this we never got tired of listening to it, that’s when we realised it was something special to us and had a timeless feeling to it. It’s full of emotion and power.” Du Tonc on Every Song. Out now on Eskimo Recordings. Get it here. After spending the best part of 2014 writing and rehearsing, Du Tonc (aka Matt Van Schie of Van She fame & Mighty Mouse) return with the 4th installement of their mixtape series and announce a new single for January 2015. This heady disco tinged partnership came about during a chance encounter in the basement of the smoky Parisian Social Club where both were playing back in 2010 and as they say, the rest as they say is history. They burst onto the scene with the now classic Darkness which has since gone on to amass over 800,000 plays on soundcloud. They followed with the infectious Surging Memories, Rise and Island and then a cover of Bruce Springstein’s I’m On Fire. Setting the blogosphere alight all songs have featured in the top 10 of the Hype Machine and they’ve gained admirers in The Magician, Mark Ronson, Flight Facilities, Digitalism, Horsemeat Disco, Tensnake, Nick Warren and many more. Their debut DJ tour saw them play to sell out crowds in New York, Los Angeles, Mexico City, London and Paris. Live tour dates will be announced for 2015 shortly. Now with an armery of new material, Du Tonc return to take centre stage once again in 2015.